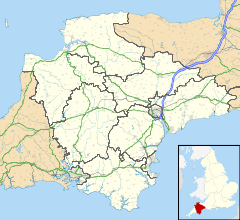 Southleigh is a village and civil parish in the East Devon district of Devon, England. Its nearest town is Colyton, which lies approximately 3 miles (4.8 km) east from the village. This page was last edited on 13 July 2017, at 12:21 (UTC).